Theodore Valenkamph was born and trained in Sweden and emigrated to the U.S. in 1894. He came first to Boston where he had a studio on Tremont Street and then he traveled to Gloucester where he established his studio at Rocky Neck. 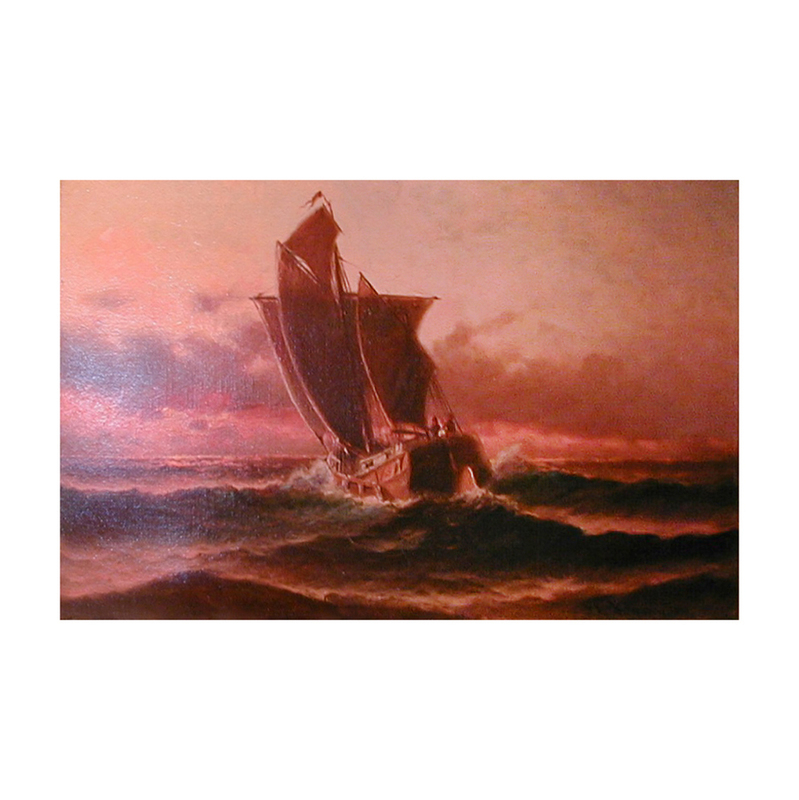 His love of the sea inspired him to concentrate on marine painting. Valenkamph is one of the Gloucester painters known for his luminist paintings. This oil on canvas is a good example as he has so expertly captured the mellow glow of the sunset over the fishing boat. It is in a gilt painted frame which is probably the original. It is signed and dated 1902 in the lower right.